This isn’t healthy. Well… it’s healthier than if came with fries, or tater tots, or onion rings. Theoretically you could not have beer with it. 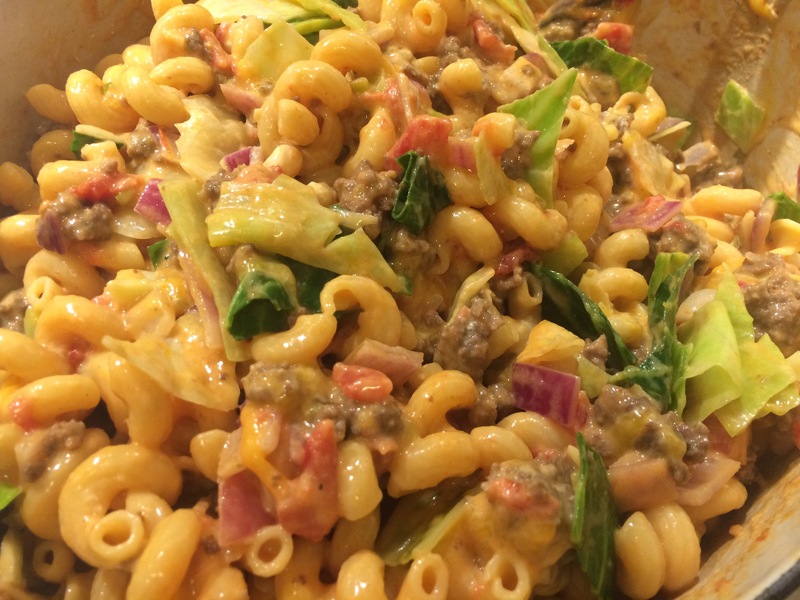 In theory cooking for yourself is healthier than going out to eat. Unless you eat like 4 portions… which is what Will did with the leftovers. 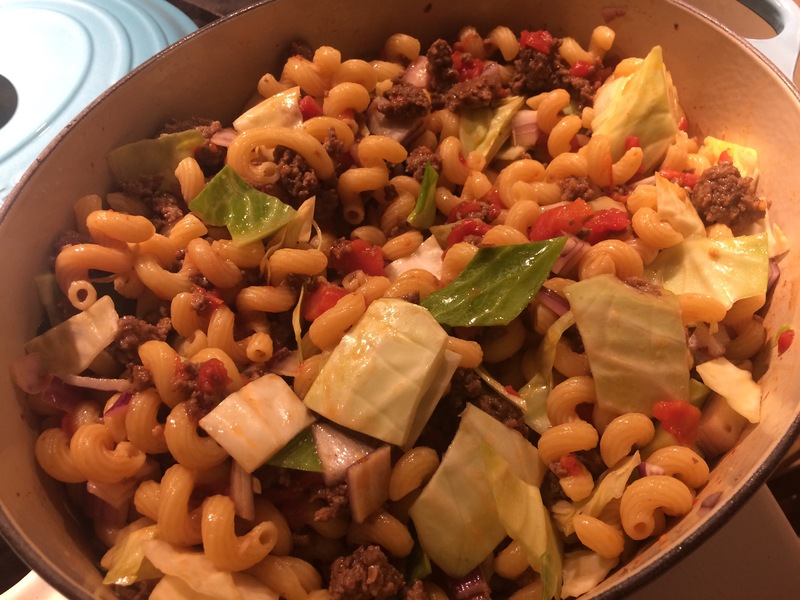 Cheeseburger Pasta – a lovely one pot meal that feels fresher than the winter holiday turkey and potatoes and ham and squash and soups, but is still cozy for cold nights. 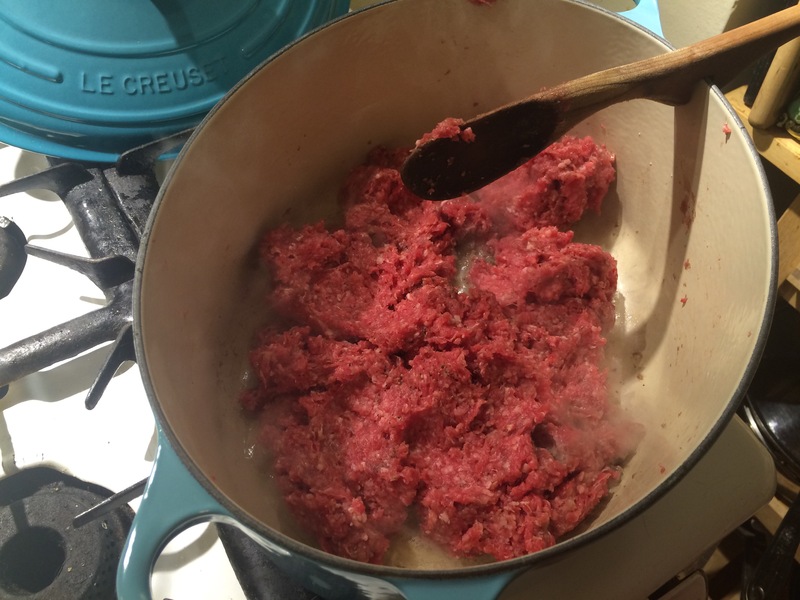 In a very large pot fry the ground beef so it browns. maybe add more water? 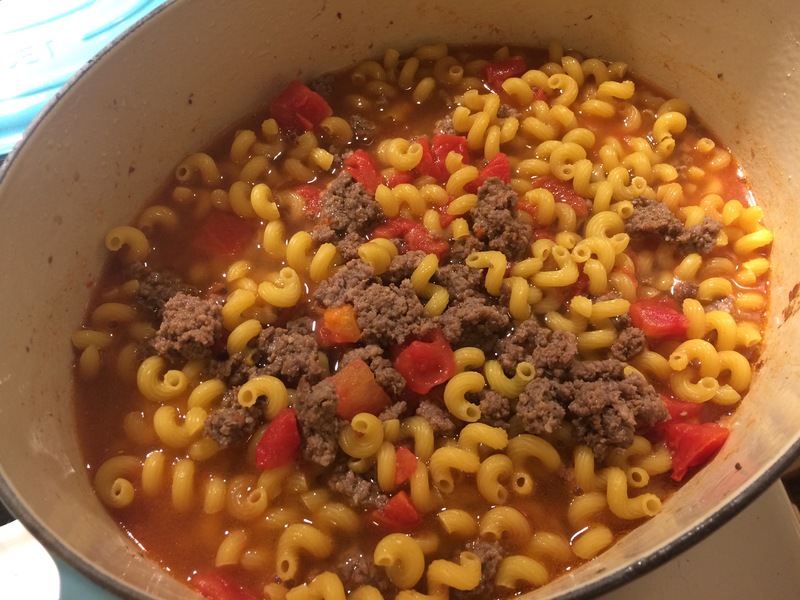 I had to so the pasta was just barely covered. Stir and cover to cook the pasta. Green cabbage roughly chopped. I think I used 1/2 a head. Stir and cover. 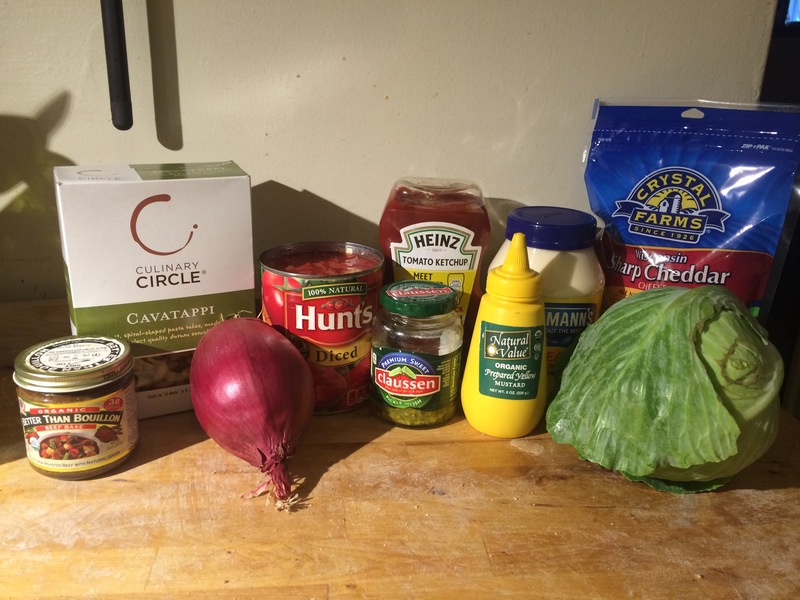 Let the cabbage and onion get warm but not cooked. 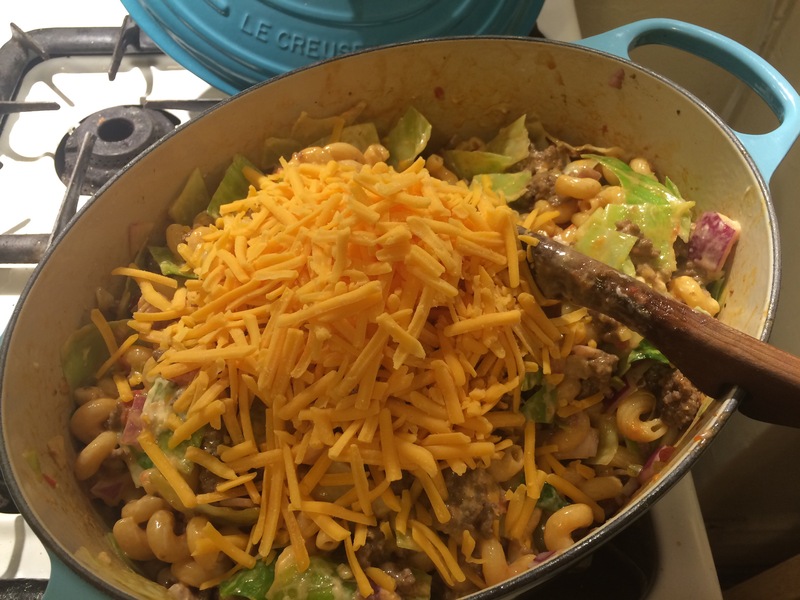 This entry was posted in Kym Cooked and tagged cheeseburger pasta, cooking, easy cooking, food, ground beef, one pot meal, pasta. Bookmark the permalink. My kids will love this! Looks great!